Everything you see, perhaps an object you are touching right now, was once cargo onboard a ship. 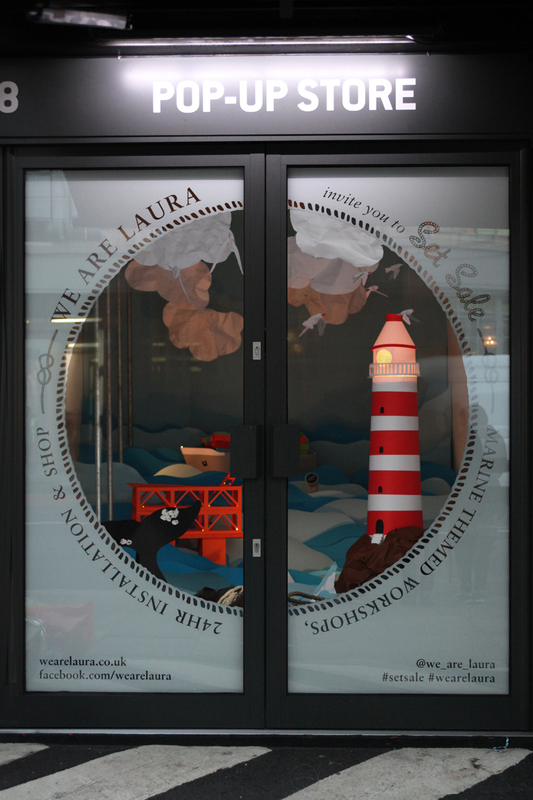 For one week in October, design studio We Are Laura staged a maritime takeover inside a Boxpark shipping container. 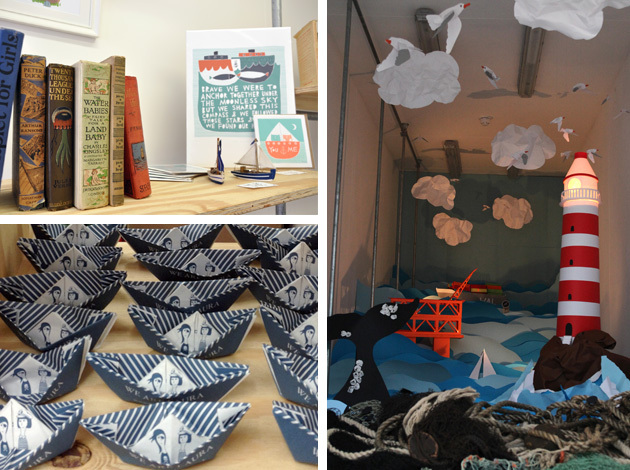 Throughout the week, everyone was invited to join us in crafting a vast paper based seaside-inside installation. We wanted you to think inside the box – and bring the ocean with you. There was talks and workshops from other creative contributors, all with a marine theme, building up to the grand finale where together we assembled the sea-scape in less than 24 hours, before it disappeared, like messages written in sand. and a launch event e-invite. paper-crafted installation, complete with working light-house. The installation was visible for 24hrs through a custom-made port-hole window graphic which framed the scene and created an eye-catching differentiation from the other identical shopfront.